Alberto Paloschi burst onto the scene in 2008 when he scored just 17 seconds after entering the pitch for his Serie A debut, firing AC Milan to victory and becoming an instant household name in the process. The striker, a product of AC Milan's esteemed youth system, had to head elsewhere for regular first team football, spending time at Parma, with success, and Genoa before flourishing at Chievo Verona. 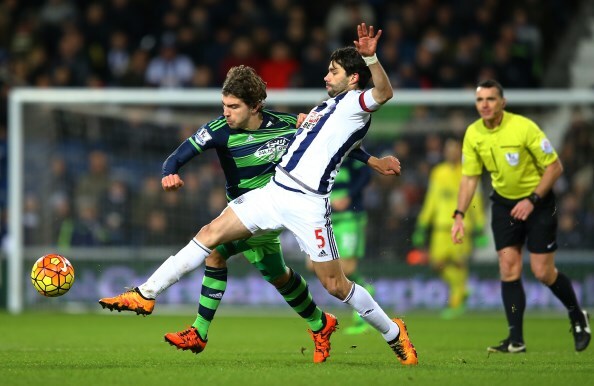 Paloschi overcame injury problems to put his career back on track and moved to the Premier League in January 2016, being given his chance to shine in arguably the world's toughest league by Swansea City. Inside Futbol's Alec Cordolcini went to speak to Paloschi, discovering his early career, how he bounced back from injury and his hopes for the future, both at club and international level. Inside Futbol (IF): For those who don’t know you, could you tell us a little about yourself? Alberto Paloschi (AP): I am a striker who always gives his all. This is my strength and it has helped me since I took my first steps into professional football at Milan. I remember I was in the dressing room with top players like Clarence Seedorf, Gennaro Gattuso and Paolo Maldini. They never spoke out of place and it was enough to look at them to learn something. They always treated me well because I always gave 110 per cent in everything I did and they appreciated it. IF: Scoring on your Serie A debut, on 10th February 2008 for AC Milan in a 1-0 win over Siena, after just 17 seconds on the pitch can be a wonderful but dangerous thing for a young player’s career, don’t you think? AP: I do because it means you turn within a few hours from being totally unknown into a starlet who signs autographs in the centre of the city. Luckily, I have always been a person who knows how to keep his feet on the ground. Looking back at that goal, I think it helped me because it gave me visibility. Many young players who came from the lower divisions had to wait for a long time before getting a real chance at a big team, but I didn’t. This allowed me one year later to go on loan to an important club like Parma, who were rebuilding a team to return immediately to Serie A. IF: At Parma you met Francesco Guidolin, your current coach at Swansea. AP: Alongside Carlo Ancelotti he has been the most important coach I have worked with in my career. Under him I grew up a lot, both as a player and as a person. He trusted me and that was very important for a 20-year-old striker who is playing his first season as a regular in professional football. My first season at Parma was great. I scored eleven goals, we finished second in Serie B and we were promoted. IF: You never went back to AC Milan. Do you have any regrets? AP: It all happened too quickly and I had so many physical problems in my second season with Parma I thought I was close to hanging up my boots. That was the darkest moment in my career. I had grown five centimetres taller and it was too much for my muscles, they caused me pain all the time. And you know who gave me the advice that probably saved my career? Pippo Inzaghi, the idol of my youth. AP: He told me to go to a physiotherapist he knew, Giorgio Gasparini. The first visit was terrible because he looked at the x-rays and told me I wouldn’t be able to train for months. My world collapsed. I was so disappointed that I stopped watching football and I thought about all the boys that came and went during my time at the Milan Academy. Do you know only Matteo Darmian and me made it to the top? In those moments I thought I was close to bidding farewell to football, just like all those guys did. That I am still a professional footballer, I owe to Gasparini. IF: You have often been compared to Inzaghi, haven’t you? AP: Maybe for our workaholic approach, but he is the real star. During my childhood I didn’t support any team, but the one in which Inzaghi was playing. You can imagine how I felt when we became team-mates at Milan. I played with the Rossoneri from the age of eleven, after a trial I had on a pitch close to Linate Airport. Previously, I had two unsuccessful trials with Atalanta and I was still playing with Cividatese, a small club in a town in the province of Bergamo. I started as a winger, but I soon discovered I could give my best as a striker. IF: You left Chievo Verona after scoring 45 goals in four and a half years – are you satisfied? AP: Chievo have been quite a fundamental step in my career, because they were the ideal place to rebuild after all the injuries I suffered. It’s a quiet environment with little pressure. Milan will always remain the club who developed me into a man and will always have a special place in my heart. However, I can’t forget who trusted me, investing their money and giving me a chance. It happened in the past with Chievo and today with Swansea. I have always felt a moral obligation to pay back the people who have shown their faith in me. IF: What do you expect from your Premier League experience? AP: Everybody knows that in England there is the toughest and most exciting league in the world. My first impressions are very positive. Swansea have wonderful facilities that in Italy can only be compared to one of the top clubs. I hope Swansea can act as a springboard for the Italy national team. I received call-ups from both Cesare Prandelli and Antonio Conte, but I am still uncapped. Some in Italy say that the previous generation of Italian strikers, from Christian Vieiri to Vincenzo Montella to Luca Toni, were better than the current crop. But I say they were given more time to grow and to gain experience. Now look at Graziano Pelle. He needed to go abroad to become an international. I hope it will be the same for me.